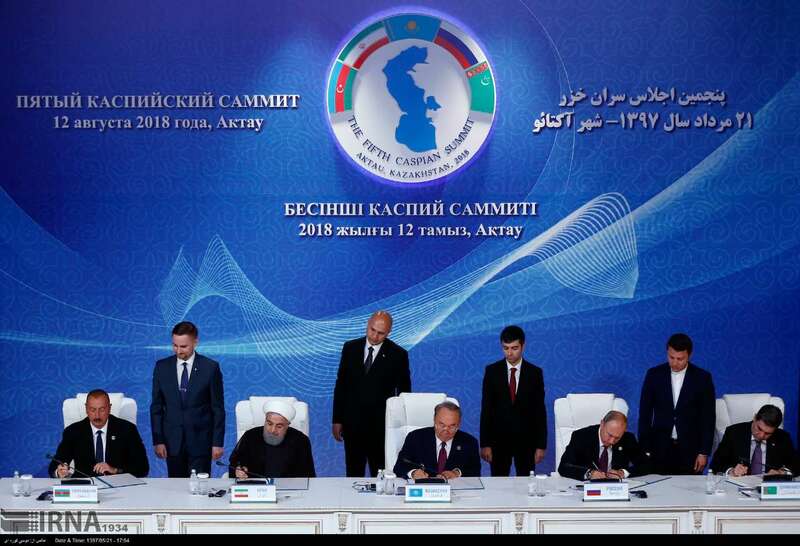 The leaders of Azerbaijan, Iran, Kazakhstan, Russia, and Turkmenistan met in Aqtau, Kazakhstan, on August 12 for what was supposed to be the long-awaited signing of a convention on the legal status of the Caspian Sea. The leaders met, and signed the convention, but after more than 20 years it was clear that some of the same issues that have prevented an agreement that suited all five countries remained. While the five presidents agreed on most of the issues, Iranian President Hassan Rohani mentioned that the delimitation of the sea remains an issue for Iran. 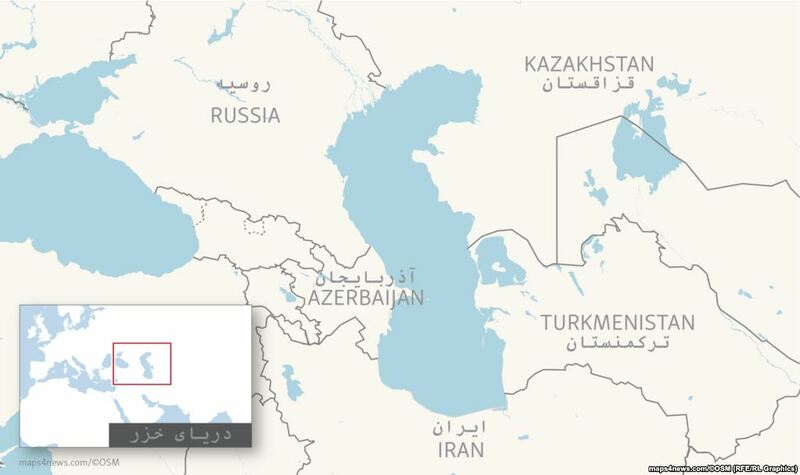 Rohani said further talks would be needed to resolve the division of the Caspian, though it was unclear if he was speaking about the 22-kilometer stretch from each country's shore that is considered the territorial waters of each state, or the lines drawn to the maritime midway point where states meet. 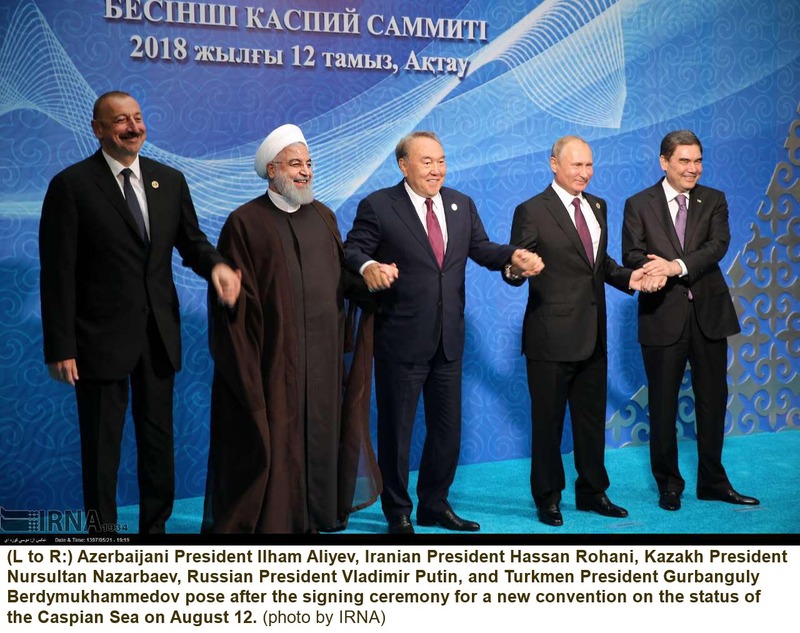 Rohani also indicated further talks would be needed to clarify obligations to the responsibilities of the littoral states for guaranteeing the environmental safety of the Caspian. In his opening remarks, Rohani praised the part of the agreement that excludes any foreign military presence in the Caspian, but in his closing statement he mentioned that should include shipment of foreign militaries' cargo across the Caspian. Rohani did not name any countries but he almost surely was referring to the agreement the United States has to ship cargo from Azerbaijan to Kazakhstan's Aqtau and Quryq ports. In what was perhaps a telling remark, Turkmen President Gurbanguly Berdymukhammedov concluded his opening remarks by saying another summit should be held in Turkmenistan. The leaders used their opening statements to highlight aspects of the Caspian agreement that were most important for their individual countries. Kazakh President Nursultan Nazarbaev and Azerbaijani President Ilham Aliyev both stressed the trade links that would surely expand with greater shipping across the Caspian. Both Nazarbaev and Aliev spoke of a new trade bridge between Asia and Europe. President Rohani echoed this message pointing out trade among Caspian states was still only a small fraction of what it could be. He touted the potential of railway connections from the eastern and western side of the Caspian to Iran and on to the Persian Gulf, rather than referring to an Asian-European trade route. Aliyev and Berdymukhammedov also mentioned the railways passing through their countries to Iran. Toward the end of his opening statement, Aliyev also drew attention to the ongoing conflict with Armenia over the Nagorno-Karabakh region, saying the unresolved issue was an obstacle to fully developing trade potential through the Caucasus. Russian President Vladimir Putin said in his opening remarks and closing statement that the parts of the agreement that dealt with fighting terrorism were especially important given the Caspian's proximity to Afghanistan and the Middle East. Although the five presidents signed documents at the end of the summit, it would be difficult to qualify the event as a clear success. It was evident there are still unresolved matters, particularly from Iran's perspective. The fact that there was even mention of another summit in the future could indicate that indeed, while the convention on the legal status of the Caspian was signed, key issues still need to be discussed. About the author: Bruce Pannier (PannierB@rferl.org) writes the Qishloq Ovozi blog and appears regularly on the Majlis podcast for RFE/RL.